Much later, when I asked them about this game of suspense, my Dad had disclosed that he wanted me to feel the thrill of exploring the world without any preset ideas. He believed in striking a balance between bucket list, which helped tick off items after fulfilling of wishes and #TheBlindList which taught me to keep my heart and mind open to experiencing new things. This is how began my journey of travel to explore new destinations. Darjeeling, which was one of the first ever vacation spot for me is a personal favorite even today. 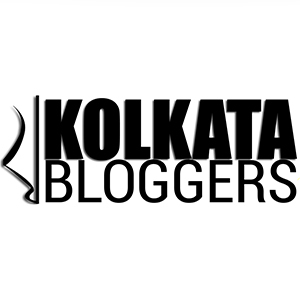 As I grew up, I moved to Kolkata for higher studies. This was my first date with the world. An eighteen-year-old was trusted by her parents and Permitted to stay on her own so that she could pursue her dreams. There were deterrents in the form of discriminatory behavior in college, heart breaks in the form of relationships gone wrong, harassment by random men that led to cringeworthy moments but I didn’t let the negativity ruin my journey. Post-graduation course brought me next to Delhi. This was the first city that made me realize how far I actually stayed away from home now. But I chose to embrace it as my own leading to two years filled with fun and friendships. Bangalore was my next destination when I started working for a market research company. I moved to a one-roomed rented flat, started exploring the city, its restaurants, some amazing bookshops and went on to create memories in the seven years that I spent here. As I moved on to do my MBA next to this city, I shifted to the institute’s hostel. The next two years saw my date with the world soar high as I mustered the courage to pack my bags and head towards an adventure trip. I explored Chennai, Pondicherry, and Ooty through unplanned trips. I visited Ahmedabad and Hyderabad for conferences and seminars, representing my B-school. For most of these journeys, my tickets were rarely confirmed and the food and lodging hardly decided, yet I took up each of these adventures because I didn’t see any fun in leading a monotonous and planned life! In 2009, I was campus recruited by ICICI Bank and sent to Khandala on training for one month. When other batch mates preferred to relax over the weekend, I started exploring Pune, Mumbai, Lonavala, Panchgani, and Mahabaleshwar. At the end of the training, I was offered to lead a branch in Mysore. After staying in metro cities for a decade, it was a little disheartening to move back to a small town again. Besides Mysore was known as the retired man’s paradise. By then I had developed the nature of moving on without any preconceived notion. In the first two years of stay here, I had explored Agra, Coorg, Madikeri and Chickmagalur. Mysore turned out to be one of the most memorable phases of my life. I got married while being posted here and in less than five months from then, I lost my mother overnight to pancreatitis. My husband and I had traveled to Munnar immediately after getting married. But, I had become numb after losing my mother. For a year, I had shut my doors to any conversation related to travel. While putting up a brave face, I had started crumbling from inside. In Dec 2012, I had switched jobs and wanted to visit my father before trying to restart my life. We had to go to Trivandrum for my husband had an official work in the city and then taking a flight from there. I had left Mysore after more than a year. I remember crying the whole night that we spent in Trivandrum and then I decided to face life heads on. We canceled our flight and took a road trip to Varkala through Kovalam. When you take life as it comes, you learn to live in the moment. There were no plans because I was not in a state to plan a trip. We just went with the flow, got an accommodation in Varkala and explored the place like it was the last vacation for us. The experience was so cathartic for me that after three days when we came to Trivandrum to book a flight, we chose to dismiss the idea and headed on to Kanyakumari instead. We stayed in Kanyakumari for a day, boarded a train without reservation to come to Bangalore and took a flight to Kolkata the next day. I have often heard that ‘Life is what happens to us when we are busy making other plans’. I experienced that during that impromptu trip to Varkala that day. Till the time we spent in Mysore , we had explored Thekkady, Periyar, Alleppey, Athirapally, Cochin, Wayanad, Goa and Kodaikanal among many other places. And almost all were trips decided on an impulse wherein we just took the car and left. If writing helped me cope up with my mother’s loss, traveling gave me oxygen to live. In 2016, we moved back to Kolkata with our infant son. Unplanned trips were difficult now as the baby had his requirements to be met. But that didn’t stop us from traveling. In september 2016, we traveled to Goa for his first birthday celebration. In Oct 2017, we decided on a trip to Shillong and Cherrapunji all of a sudden. Since then he has visited Mandarmoni, Tajpur, Shankarpur, and Digha. This year we have traveled to Delhi and Noida again on an impulse. There have been many instances that could have discouraged me from having a blind date with the world. But I never let my wanderlust die. I became a storyteller and an author through the experiences that I gained while getting to know the world better. I’ve traveled as a solo traveler, as part of an all girl’s gang, along with my parents, with my life partner and now I also have my three-year-old for company. I’ve not let any hurdle or incident stop me from saying #YesToTheWorld and now I want to pass on the same spirit to my son. Every city, that I have visited, has been part of #TheBlindList rather than the bucket list. But I was open to embrace the new and unknown territory. My late mother used to say that we visited places as outsiders, but as travelers we always imbibed a portion of the places’ culture, cuisine, and thoughts in our lives. I still live by her words. Of all the places that I have visited, Varkala has the most special place in my life because that unplanned trip finally brought my life back on track. Omg ! You have travelled a lot Sonia. I wish we both could do a girls’😉 someday in future. What say? Really nice post. You have traveled a lot. Unplanned trips are the best. It is exciting. It has a strange kind of romance. Romance of the unexpected. There are still so many places unvisited that wandering around will always lead to something new. Not bad at all! Wow, that should be a unique experience. Suspense of vacation location! Seems you have covered pretty much most places in India. Great. This post is definitely a winner, Sonia! Your crisp writing assured that we traveled with you on your journeys shared. A very well written post Sonia. You correctly brought out the joys of the surprises attached with unplanned trips with no fixed rules and restrictions in exploring known and unknown lands. The fact that these unplanned trips give valuable and memorable experiences in spite of life’s adversities, has been rightly brought out in your musings……a nice response to the prompt. I think life is the best teacher! Thanks for sharing your moments from life, Sonia! You’ve travelled a fair bit and that’s amazing! I love unplanned travel. I’ve mainly travelled around Australia and a bit in the US and Canada. Must confess, haven’t travelled much in India or elsewhere but I’m hoping to change that. You are a very brave soul to have the guts to take on unpanned travels; a control junkie like me has to have all her items planned to the T!! I don’t really travel unplanned but I love to travel. It was nice reading about your tips over the years. That’s super, Sonia. I have yet to do a solo trip or a gal’s trip. Solo trip I wonder if I would ever do. But so want to do the gal’s trip. You have explored a lot! I was happy to read that you were in Bengaluru & Mysuru which are from my state Karnataka. You have very beautiful upcoming Sonia. This was a lovely wandering down memory lane with your stories.Blindlist are a lot of fun ,only if we can do it with an eye to self exploration. I love the way you decided to go back to your love of travelling. I sense the excitement you feel about it. Beautiful heartfelt account. Your deep bond and love is evident throughout the piece. Enjoyed it! Thanks for sharing your journey with the world. Great blind dates indeed! 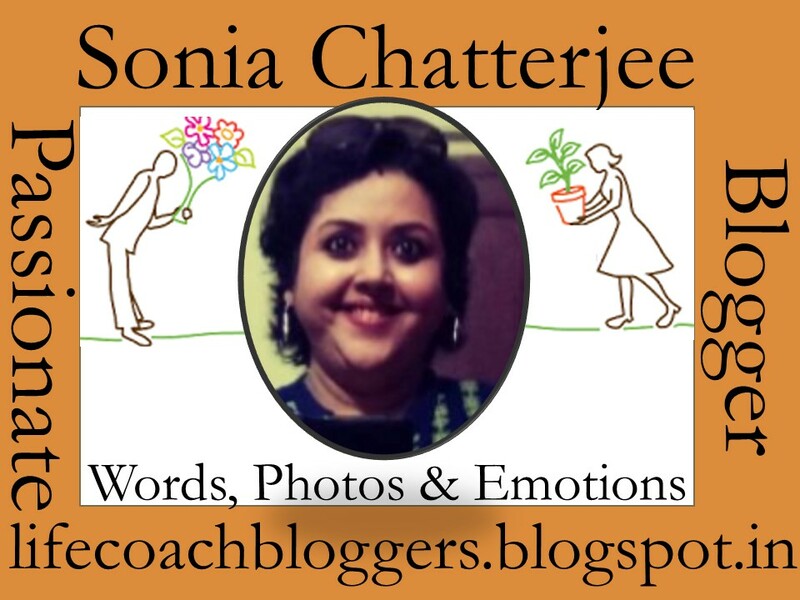 What a pleasant post, Sonia! I enjoyed reading about your extensive travel experiences. Sorry to hear about your mom, that must have been devastating. Here’s wishing your blind list gets fulfilled! Wow.. You made me travel India in minutes..enjoyed reading your journey… Fun! Keep ticking off your blind list!